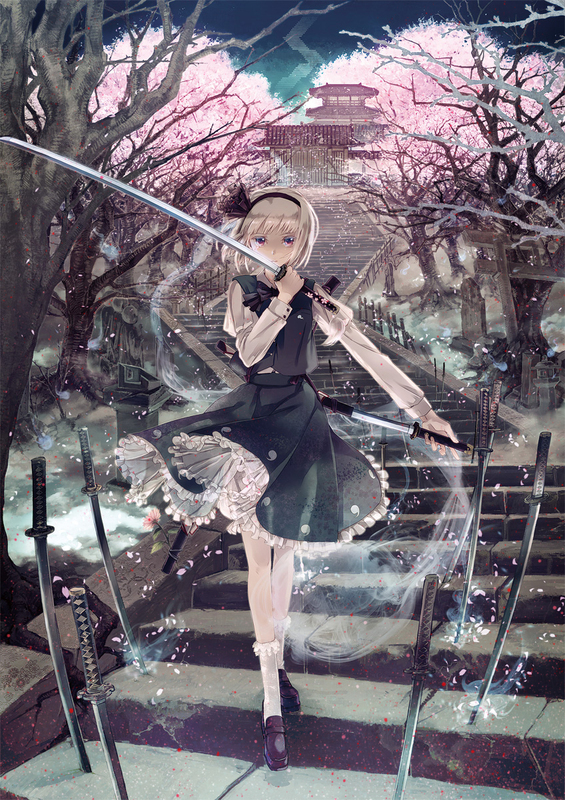 2,496 anime images in gallery. 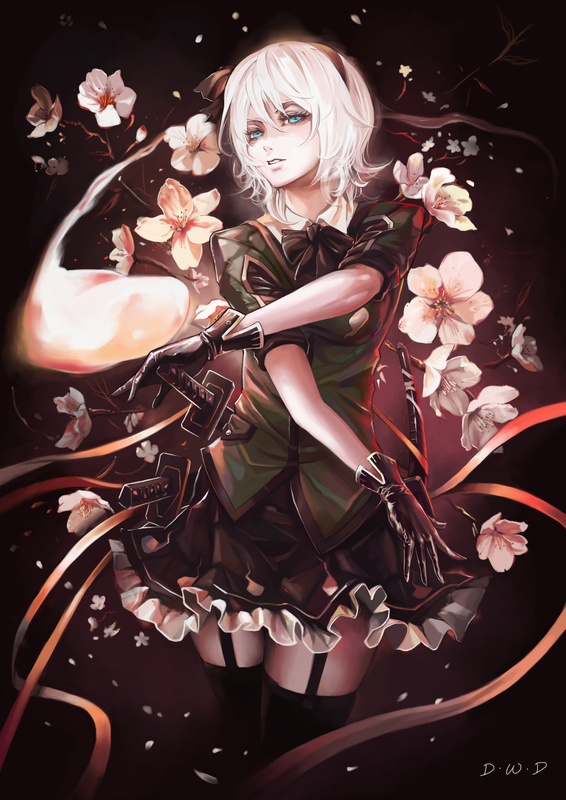 Tagged under Touhou, Perfect Cherry Blossom, Koumajou Densetsu and Phantasmagoria of Flower View. 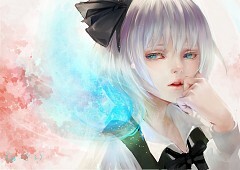 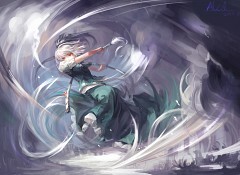 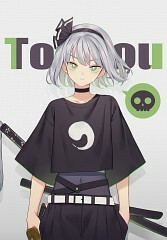 Youmu is one of the stranger entities in Gensokyo, part-human and part-phantom at the same time. Her two halves are not intermixed like one would expect from a cross-breed, but actually exist in physically separate bodies. 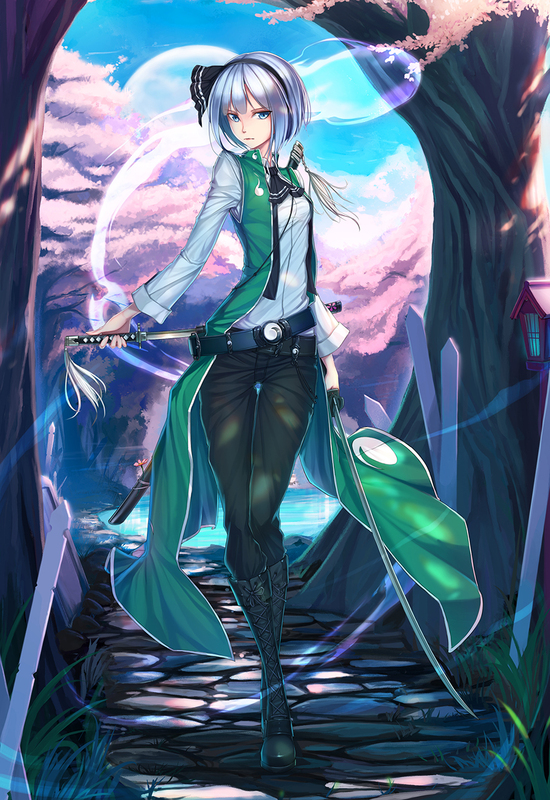 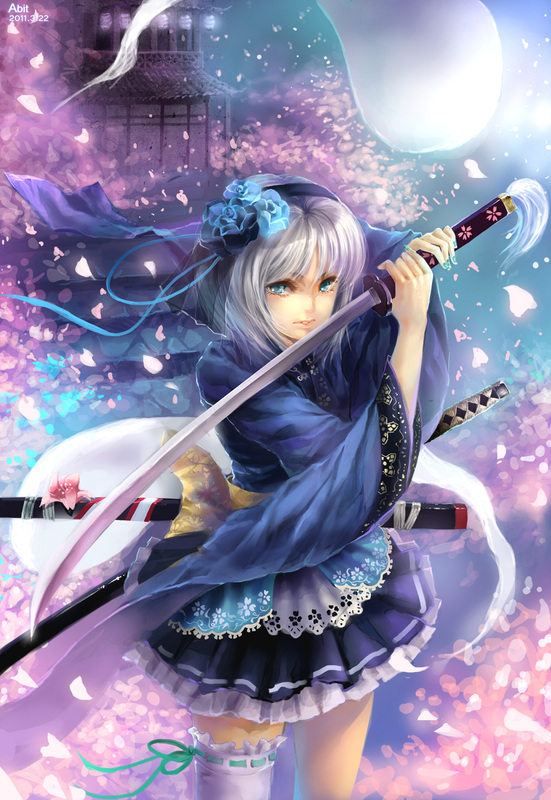 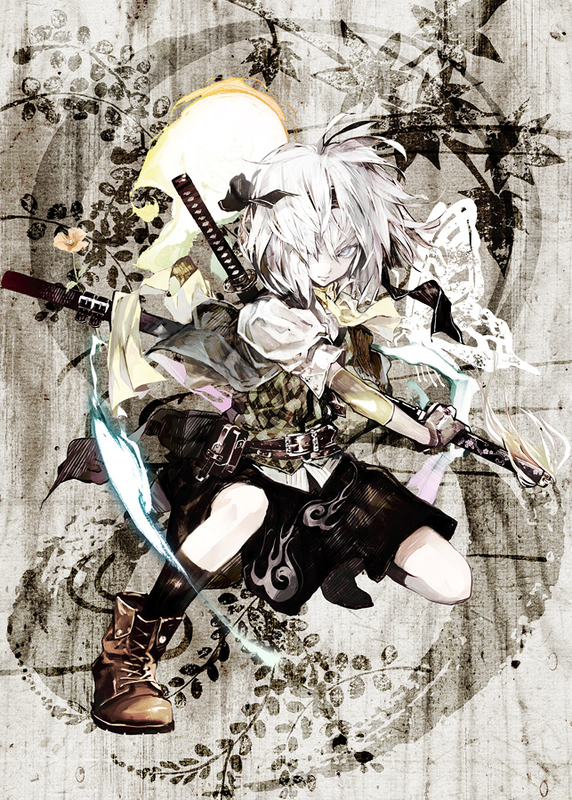 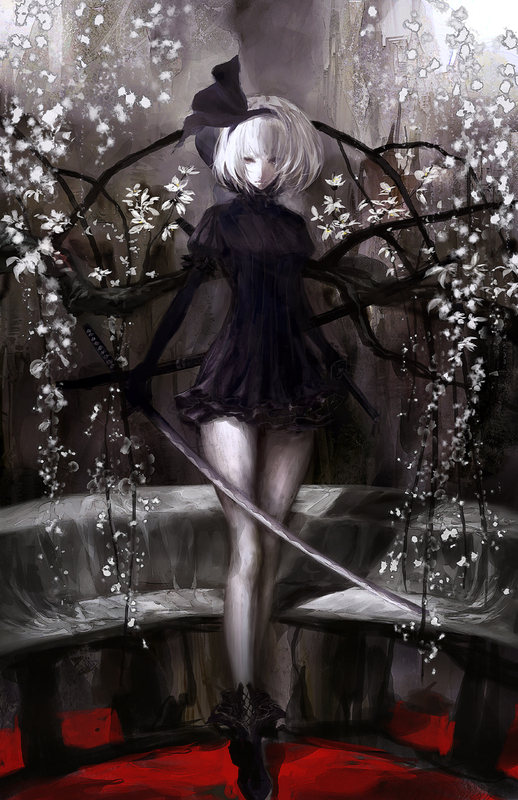 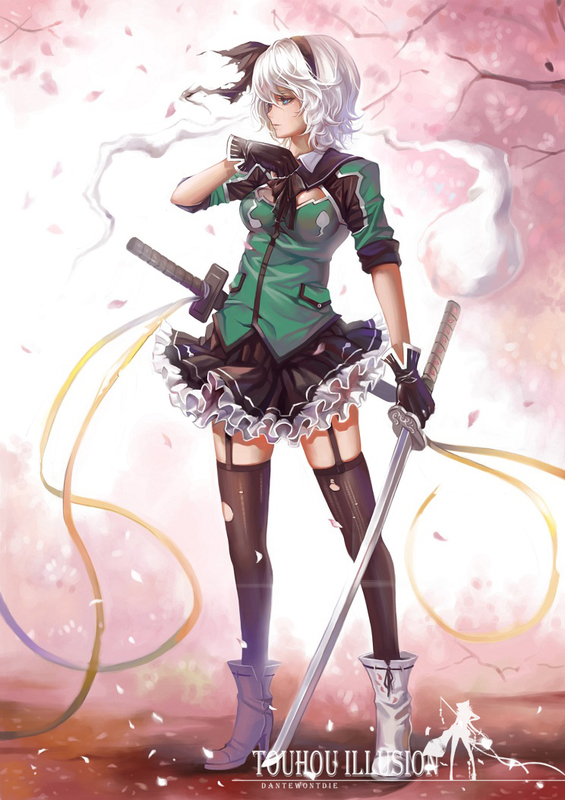 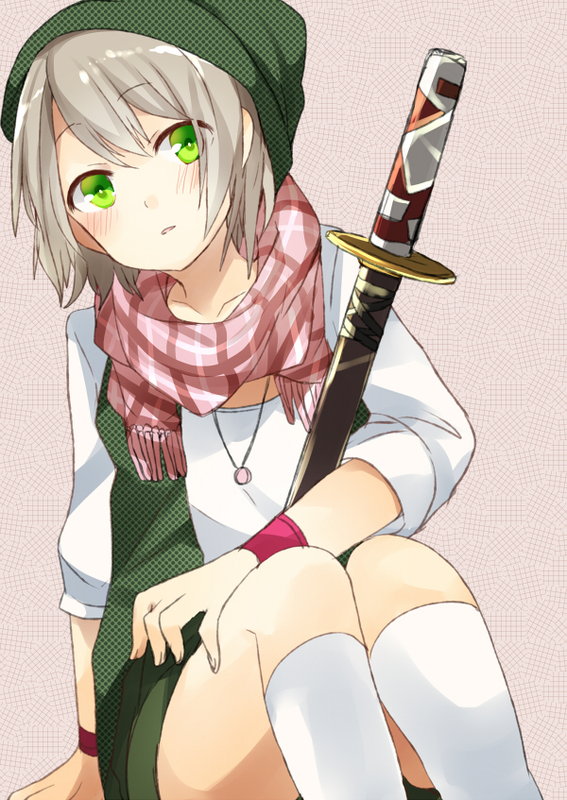 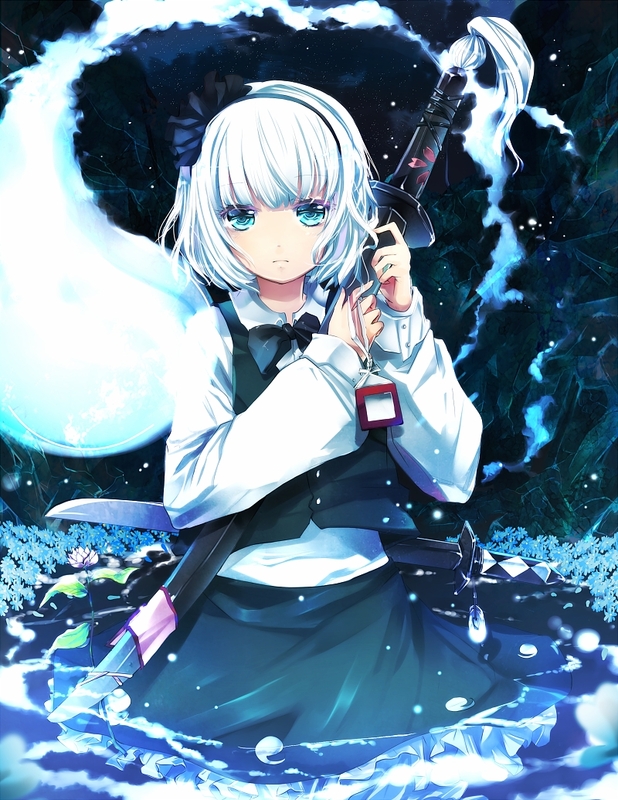 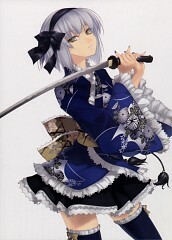 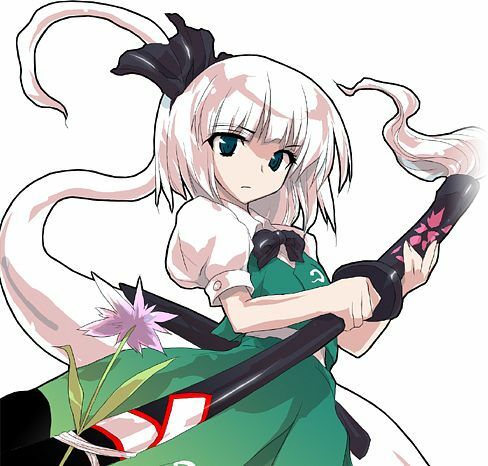 Youmu has a straightforward and focused personality, which complements her swordsmanship abilities well. 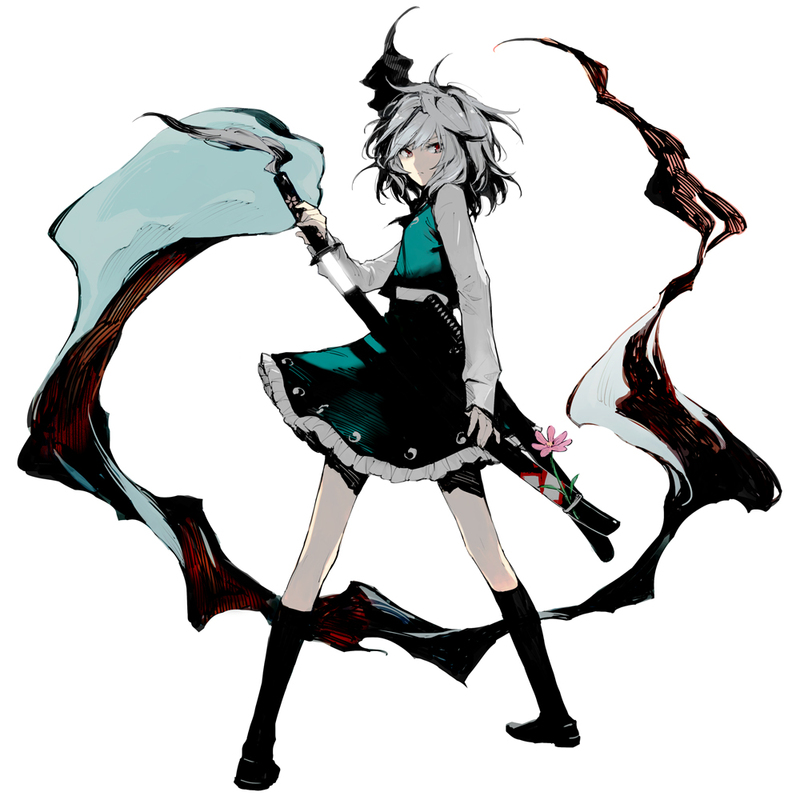 However, her personality conflicts with that of her master, Yuyuko Saigyouji, who is very whimsical and playful in nature. 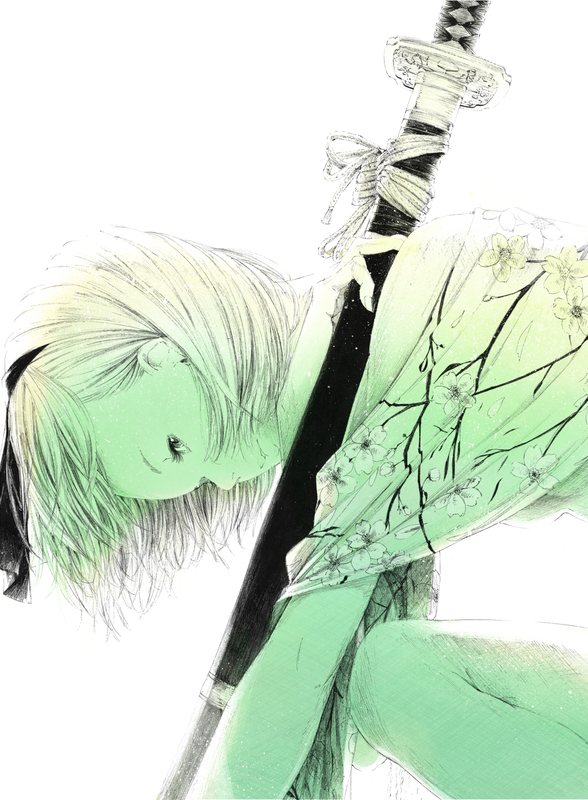 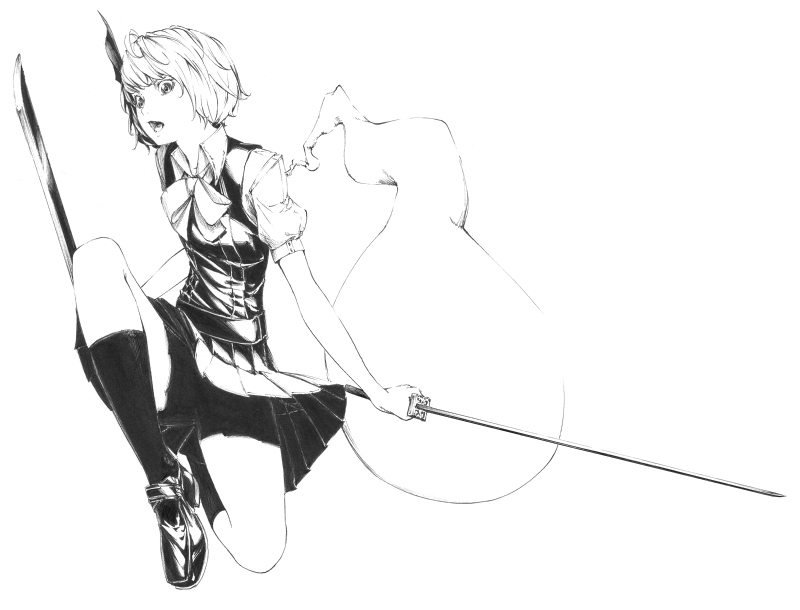 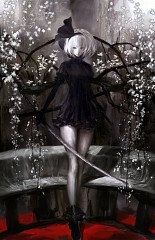 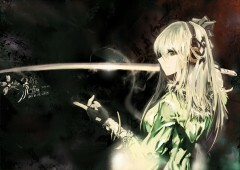 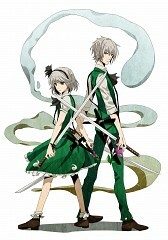 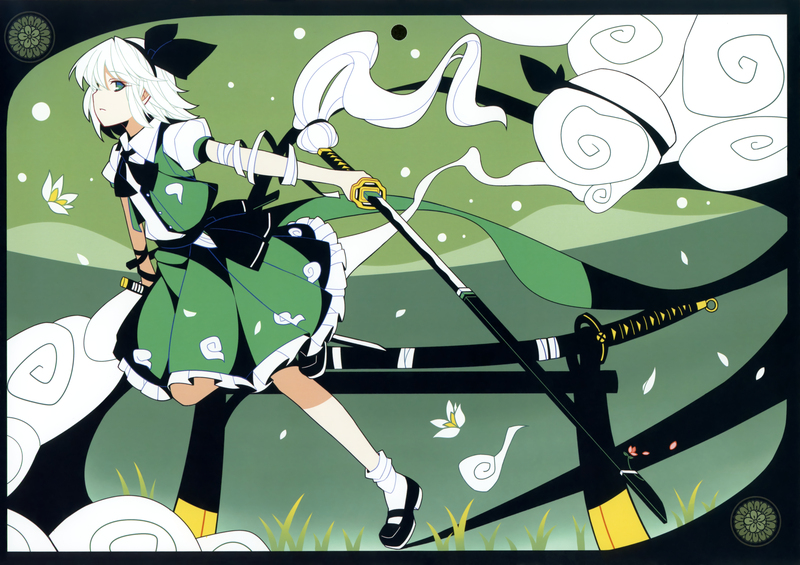 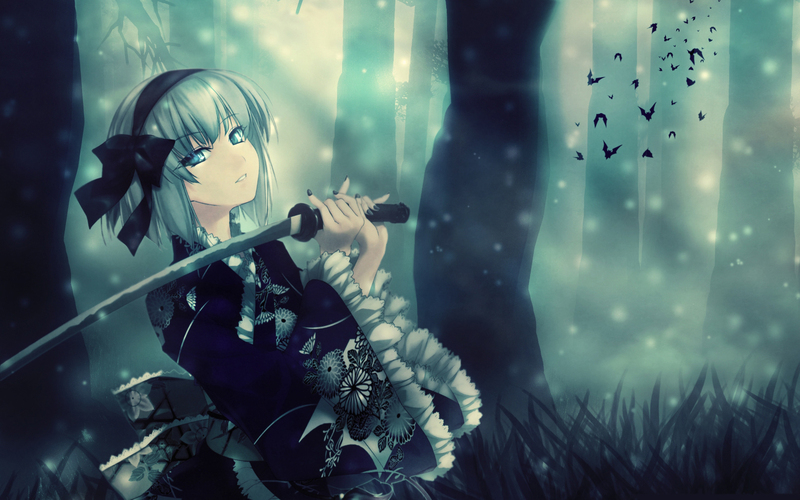 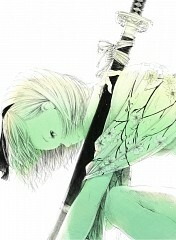 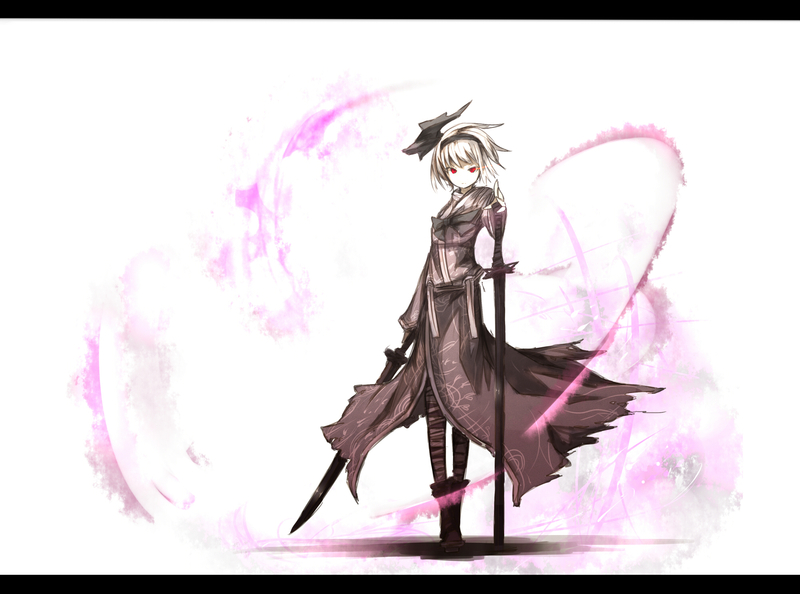 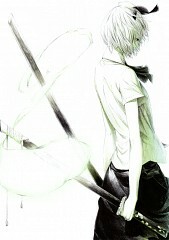 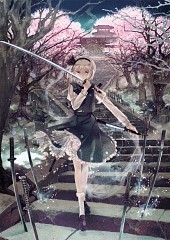 Youmu commonly wields two blades at once, having studied some under her predecessor, Youki. 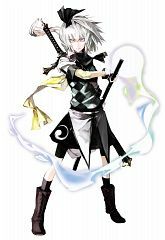 The longer blade, called Roukanken - Lookout-Tower Sword, is said to be able to kill ten ghosts in one swipe; the shorter blade, Hakurouken - White Tower Sword, is able to cleave through a person's own confusion.